I don't want to create a negative vibe on this forum regarding HK, but am I the only one experiencing a delay in orders being packed and shipped. I placed an order last week Saturday for a few spares to finish my new extra 300 sctrach build, and today is Friday ( 6 days later) and my order has not been packed yet. I have contacted online support and the reply was that they would give it priority, but no results yet. whats going on in HK, Are they out of printer paper ?? I ordered a KKboard some time ago, it also took a week to get packed. That is 11 days for the order to leave their building! So what happens between feb4 and feb11 when all items are in stock? Thats normal for HK in this time of the year. They had the Chinese New Year till the start of February in which time they do not work. Because of that they have many orders waiting on the stack as most people kept ordering. Because of that you'll have to wait some days till they are shipping it out. My last order needed 5 working days before it went out. That was without a JIT-Item. A JIT-Item will at least add one more day. The order I made in the CNY (Chinese New Year) needed some weeks. Look at it in a positive way. You can't fly all your things to deaths and are saving money because of that . And the weather in the northern hemisphere is bad anyway (yeah I know not all people are from there). Strange. Ordered some stuff just after Chinese new year. A JIT item. 5 days and it's send. Yeah, it's about 7 days for items to be printed at the moment. 11 days and still processing! 4 days and no reply to my Support Request! That's a slow printer... On the bright side, it's more than enough time to request turnigy neckstraps! Haha yeah colorex is completely right! Those old printers are kinda slow, and they're probably running low on printing ribbon too. Well yes, that's the only thing that makes me go back to HK is their price, quality and range. After 9 days my package was shipped, but the Chinese New Year story makes sense. sometimes I wait a week or more for them to box up and send a package even if it doesnt have any JIT items. I placed my first order in quite a while on the afternoon of the 21st, after I placed it I was kicking myself for not adding a few consumable items (plugs, wire, shrink tube etc.) so I contacted live help that evening and added 6-7 items, I was very suprised to see that it had shipped and tracking info made available last night (23rd). thats the fastest I have seen a package go through the system. The issue can also be found at the US Warehouse. 10 days and still waiting. Everything is in stock. I have all my pieces for FPV...just waiting on the Bixler to arrive. Yeah, my order finally got printed three days after I placed the order. 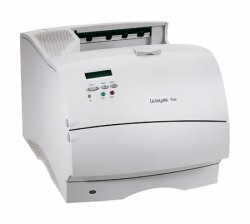 I have a bunch of Lexmark Optra T laser printers laying around, I may send them one. HK definitely takes way too long to process an order, but you forget about the waiting once you're up in the air. Well, I'm impressed and not impressed at the same time... An order I placed on Saturday has been printed already! Which is good, 'cos it's an EMS order (only $6 more than standard shipping for <1kg package). Not impressed because my wife ordered a plane for my birthday 2.5 weeks ago, and it still hasn't been printed!!! Chances of it arriving by the 18th are zero to none. Order will likely be cancelled And I don't even know what it is!